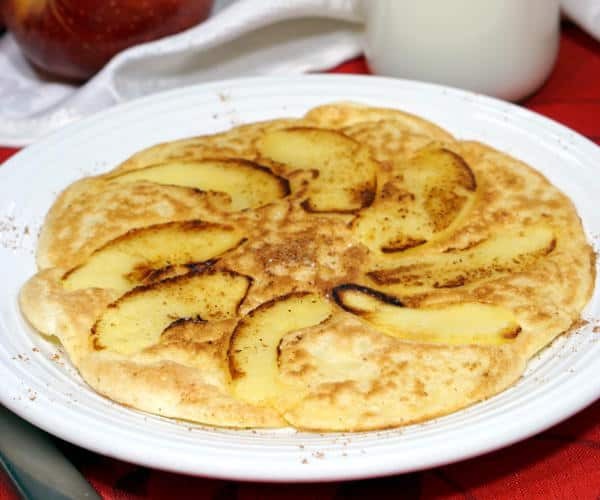 Apfelpfannkuchen, or German Apple Pancakes, are a light and eggy breakfast treat, full of slices of sweet, caramelized apples. In the States, when we think of a German Pancake we think of another brunch and breakfast dish: the Dutch Baby. 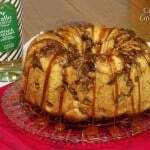 The thin batter for these breakfast cakes is poured into a skillet and then baked in the oven. As they bake they puff up like a souffle. 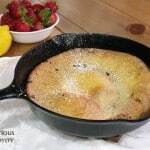 We can see the German roots in the American Dutch Baby in the makeup of the batter and the full pan size of traditional German pancakes, called pfannkuchen (pronounced pfahn-KOO-khen). 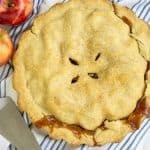 Apfel (pronounced as it is spelled AP-fel) is the German word for apple, and tacking it onto the front of pfannkuchen get us delicious apple pancakes. 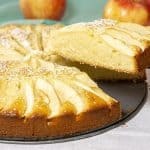 You can find many different recipes for Apfelpfannkuchen. Some use leavening, others don’t. Some are baked in the oven, others are cooked on the stove top. What they all have in common is a very eggy batter and a pancake that fills the cooking vessel. 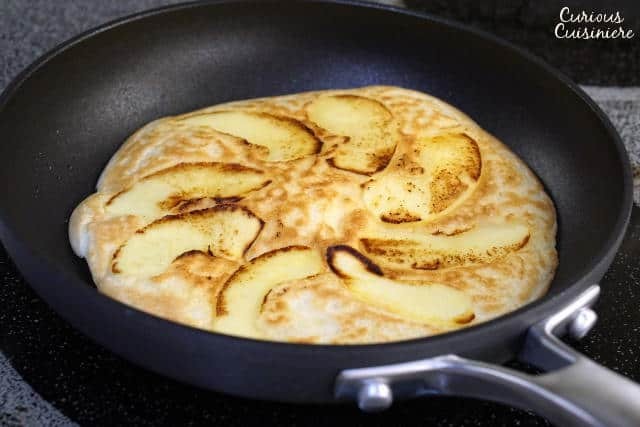 The most-used technique we found for the pancake batter surprised us so much we knew we had to make our Apfelpfannkuchen that way. It involved folding stiffly beaten egg whites into a VERY thin batter. The beaten egg whites thicken the batter and create a very unique texture and leavening effect. The beaten egg white batter resulted in an incredibly light pancake with a texture that reminded us of French crepes, but a thickness like a standard American pancake. The batter doesn’t call for any oil (except for what you use to fry your pancakes), but don’t worry. The egg stands in for the fat, giving the end pancakes the richness and texture you would typically get from oil or butter. The other thing that would seem to be missing from Apfelpfannkuchen batter is the sugar. These pancakes are traditionally not sweetened, or not sweetened very much at all. 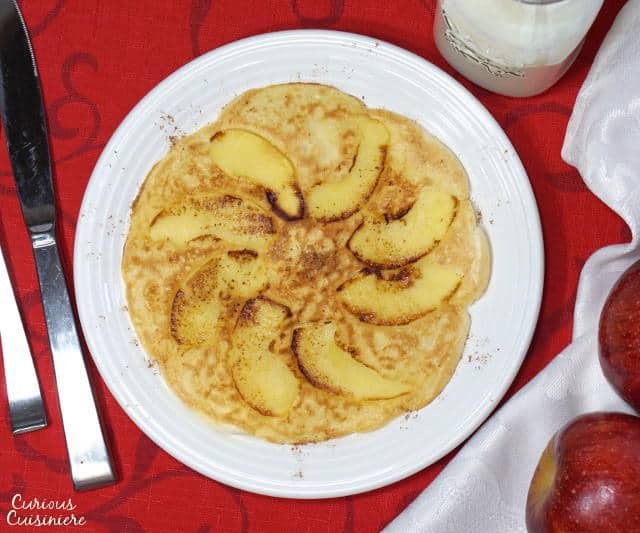 While this sounds strange to those of us used to super sweet pancakes for breakfast (that we then cover with more sweetness), these pancakes get all of their sweetness from the lightly caramelized apples inside and from the cinnamon sugar topping. 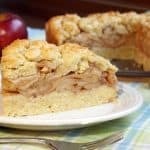 That is why it is incredibly important to use a sweet and crisp apple for your Apfelpfannkuchen. 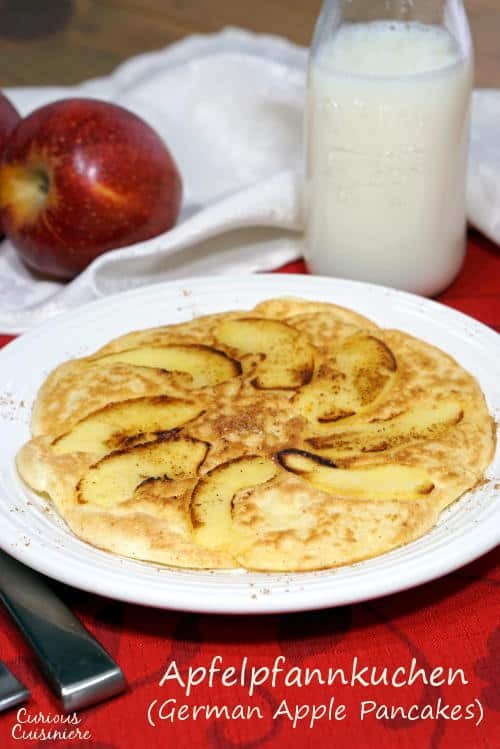 If you use a tart apple, your pancakes will end up tart. And no one wants to bit into a tart pancake for breakfast. 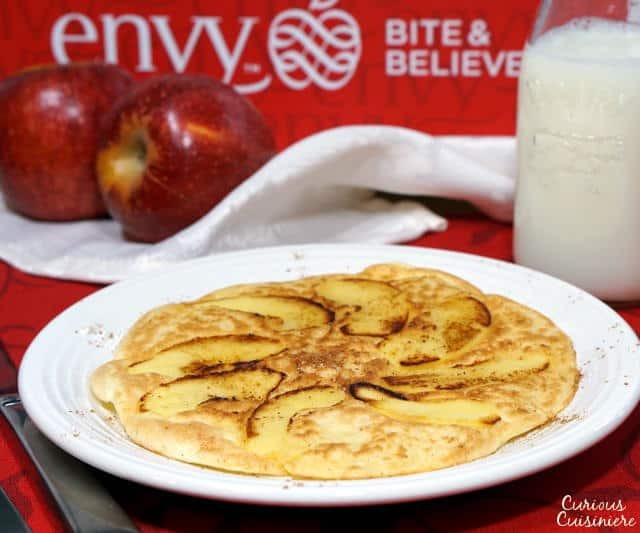 The apples we used for our pancakes were Envy Apples a cross between Braeburn and Royal Gala that originated in New Zealand and can now be found growing in Chile and in the US in Washington State as well. The apples are nice and crisp and super sweet. They are wonderful for eating straight, but we loved the burst of juicy sweet flavor that they gave the Apfelpfannkuchen. * To make cinnamon sugar: Mix 3 tsp sugar with 1 tsp cinnamon. 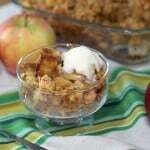 DISCLOSURE: We received samples of Envy Apples that we used in this recipe. We were not compensated for our time. As always, all opinions are our own. Looks amazing! And cooked in cast iron makes it that much better. This used to be the very special Sunday morning treat on very special holidays or other occasions. 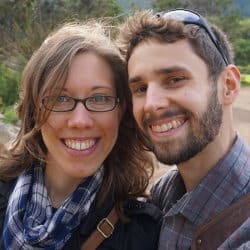 I haven’t thought about them in years. Thanks for jogging my memory. So glad we could! Thanks for sharing! Mmmmmm….I love apple Dutch Baby. I need to try these too! 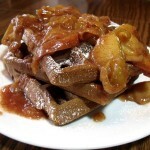 I want this for breakfast tomorrow! 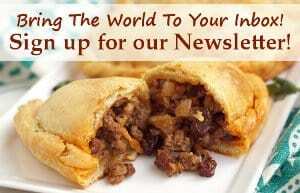 And I’m with you on downsizing the pan–anything to make that flipping easier! Another great recipe. You guys never cease to amaze me. Thank you Wendy. You’re too kind! I haven’t had these in years but now I see this, it reminds me how good they can be. I imagine the Envy apples were great in there. Delicious, must try! Thanks Caroline! 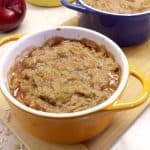 The Envy apples were perfect in these because of their wonderful sweetness!